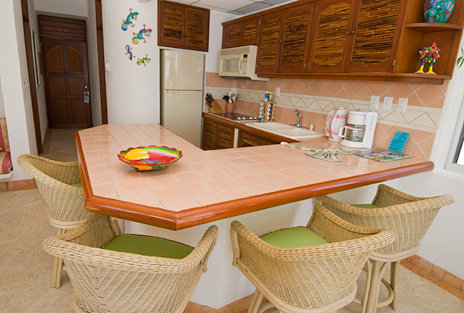 Playa Caribe #8 is the middle unit on the third level of Playa Caribe. 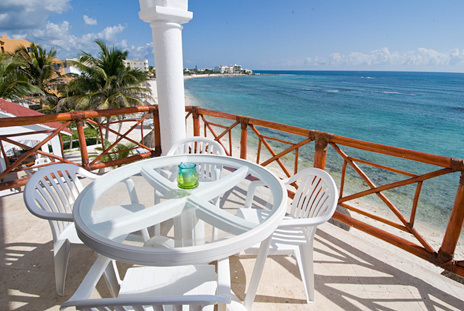 There are excellent views from the oceanside patio area. 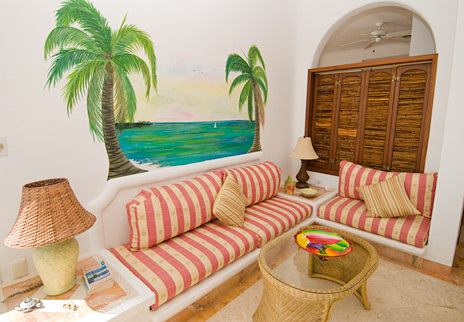 A distinctive mural of palm trees and the sea adore the wall of the living room. 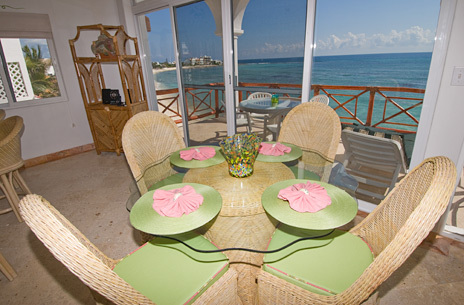 The dining area has seating for 4 plus additional seating for 4 at the breakfast counter. 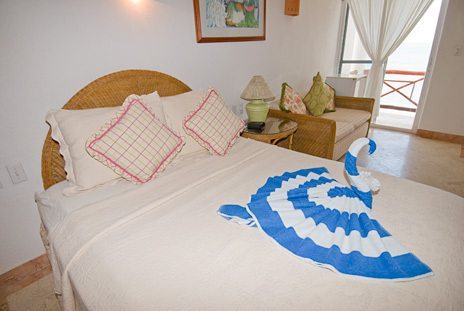 Both bedrooms have private baths and sliding glass doors to patio areas. 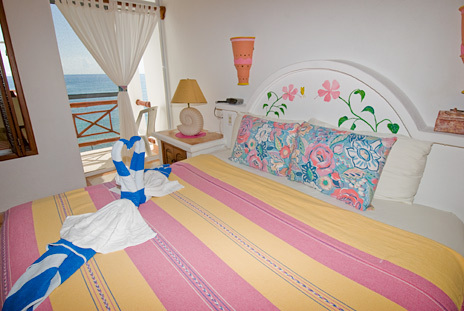 Master bedroom has a king bed; second bedroom has a queen and a twin; this bedroom also has a mini frig. Excellent Views of Half Moon Bay!